This recipe of Lady's finger (deep fried style) is very yummy and crispy. 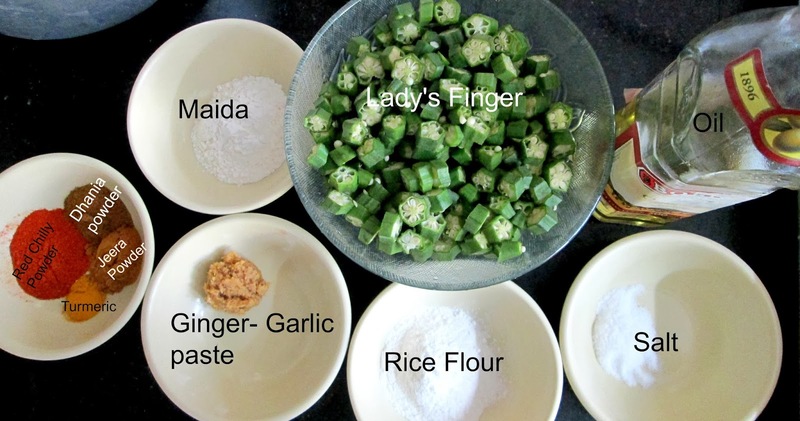 Lady's finger is most preferred eating in the form of curry, sambar or less oil cooking methods for health watchers. Cooking Lady's finger in that method is a great option because it is good at controlling blood sugar, it can kill cancer, protects from developing stomach ulcers etc etc.. There are other ways of cooking Lady's finger for healing of inflammation which we will be learning in coming days. By the way, cooking Lady's Finger (deep fried) is not a bad option though. This can be consumed twice in a month without scruple. Prepare the Lady's finger by washing them and cutting them into desired shapes. Now mix everything well by adding 1 Teaspoon of Oil. When everything gets combined you will be able to see all the powders still in the dry form. Add required amount of water and mix well so that the powders become slightly sticky. Next, heat Oil in a kadai. After the oil is hot add the lady's finger and fry until slight golden brown. This should take about 4 minutes for each batch. 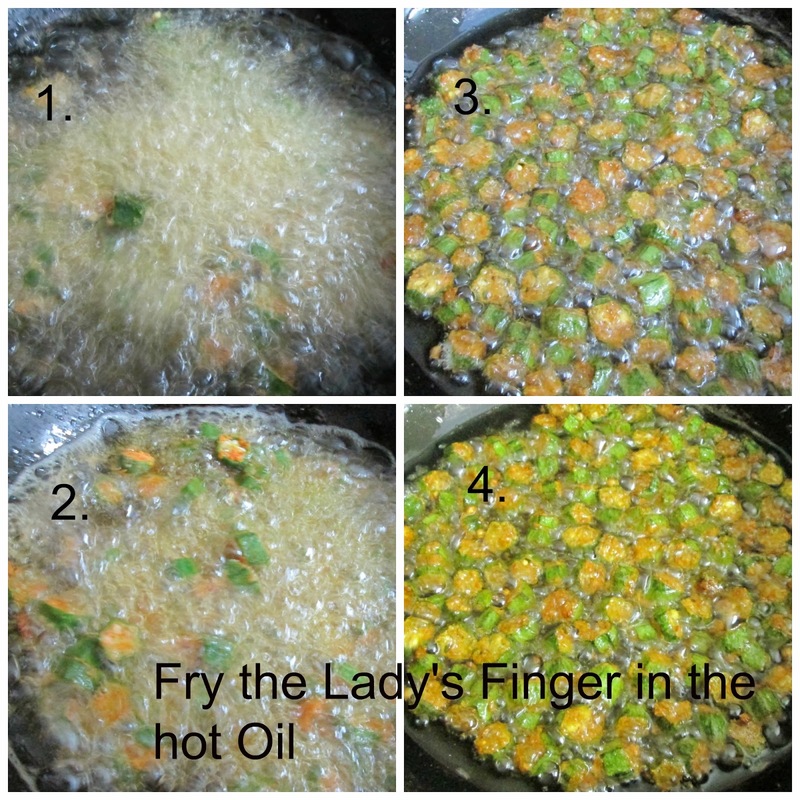 After frying each batch of the Lady's Finger, spread it on a Paper napkin to absorb the excess oil. 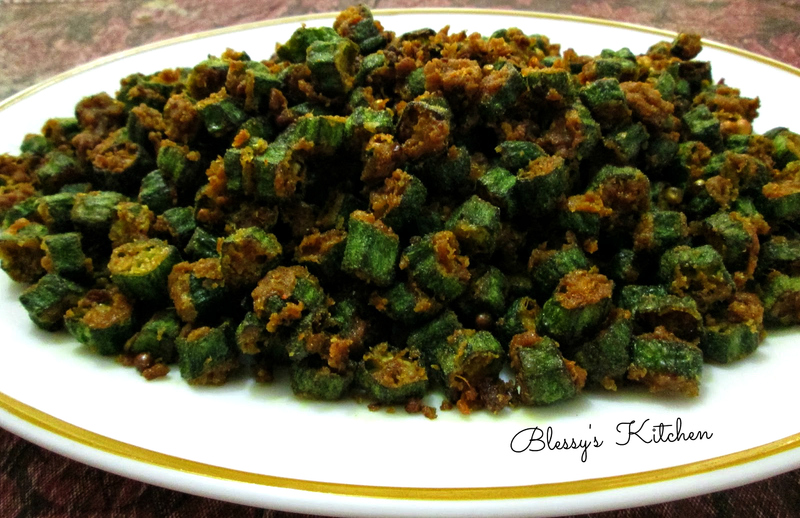 After completion of frying the whole mixture of the Lady's Finger you're ready to serve it with hot rice and dal.. If you like my recipe of Deep Fired Lady's Finger/ Deep Fried Okra, then do let me know in your comments below. If you happen to make Deep fried Lady's Finger in any other method then please let me know in your comments below.